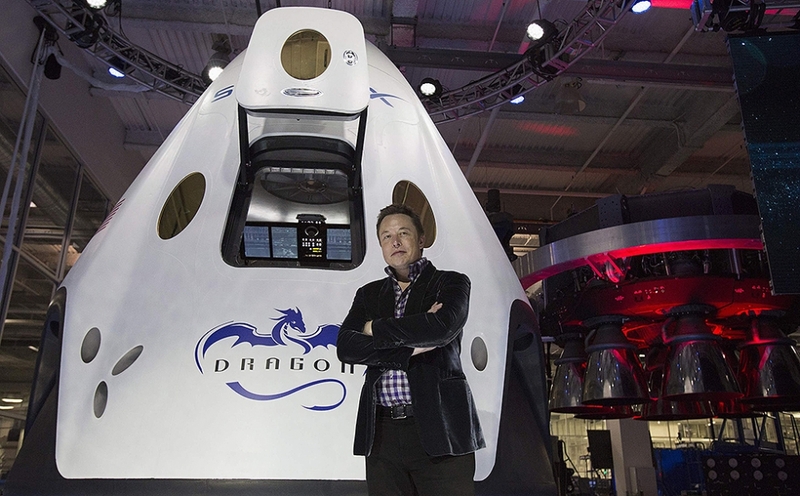 California based Private space enterprise SpaceX has finally revealed its Dragon V2 Space Capsule. The dragon V2 is different from its predecessor because it is capable of carrying an extremely valuable cargo, the human Astronauts. 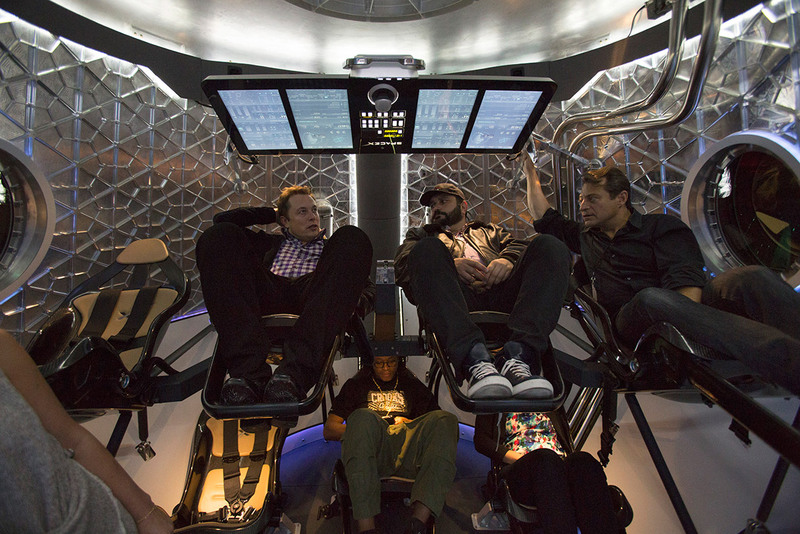 The company’s owner Elon Musk is the real life inspiration for Iron Man. He is a phenomenal human being. He is the co-founder of PayPal, CEO and CTO of SpaceX and CEO of the world’s best electric car brand called Tesla Motors. He plans to bring in a transportation revolution with his Hyperloop proposal. He is one of the most respected and revolutionary tech entrepreneurs. SpaceX was founded in 2002 with rocket propulsion engineer Tom Mueller. The companies economical space travel model was so well appreciated, that in 2008 SpaceX was awarded a $1.6 billion contract with NASA. As per the agreement Space X will send 12 flights of its Falcon 9 rocket and Dragon spacecraft to the International Space Station(ISS). With the retirement of the iconic Space Shuttle program in 2011, American ingenuity in space was at peril. Luckily Space X was there for rescue. 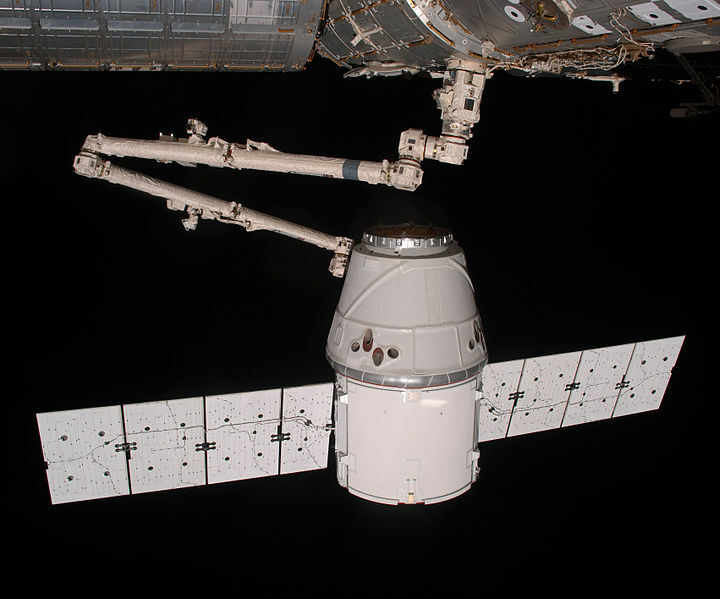 The first SpaceX Dragon spacecraft successfully launched and docked at the ISS in 2012. It was basically a test mission to assess the capabilities of the Dragon to deliver payload to the ISS. Since then, it has completed 3 of its 12 missions. These were Cargo missions but the Dragon V2 will be capable of human flights which are extremely important considering our severely restricted means of access to space. Space research also is facing several issues because of the increased tensions between the West and Russia. The 4.5 meter tall Dragon V2 will be the first space craft to land vertically on any surface like a helicopter. This will take us miles ahead in terms of reusability and making space travel more economical. Space X experimented with the Grasshopper rocket to achieve vertical launch and land capability. This technology will help in reducing the costs of building new rockets for every mission. The Spacecraft has multiple backups for safety. It is powered by a main and backup engine which will ensure safe landings of the astronauts on surface; if one fails the other will take over. Dragon V2 also has a parachute as the ultimate time tested backup for landing. The need for the manned SpaceX Dragon 2 to succeed is direr considering that Russia plans to do away with the ISS missions by 2020. Currently the Russian Soyuz is the only way to carry astronauts to and from the ISS. This will be a big step back for all of us if we don’t have access to space based research anymore. Apart from Space X, Boeing and Sierra Nevada Corporation Space Systems have also cleared first step of NASA certification. Even President Barack Obama has encouraged more private investment in space exploration to speed up the research process. Elon Musk wishes to now enter into the arena of planetary exploration with a trip to Mars. It is the only way we can ascertain the survival of the future for our species against the threats faced by our own self (global warming, wars, etc) or circumstances which are not in our control (asteroid strike or a super volcano eruption). We are in essence surviving on a living planet highly capable of getting bruised. Space exploration has always been an aspirational area of interest for everyone, it entices us all. Throughout our history the heavens have enticed us. A scientific colleague of Carl Sagan once told him about a Stone Age tribe which was ignorant about all our scientific and technological achievements but they knew one thing, we had landed on the moon. It was a disappointment to them to know that no one goes there anymore. In the last century, we have taken the human curiosity worth of 20,000 centuries to flight by gaining the ability to leave the surface and take a look back at our grand blue planet. If we stop now, we won’t just be disappointing that one Stone Age tribe, but all our predecessors who went to great lengths to ascertain the survival of our species. Elon Musk and the engineers at Space X deserve our gratitude for keeping that hope and curiosity alive and giving it wings to fly high.